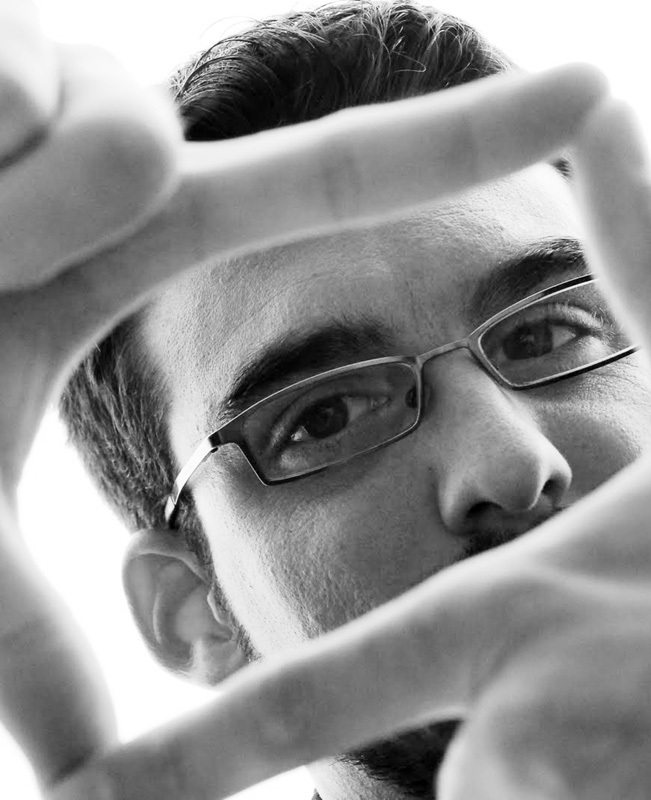 Even for people who have a job, the situation is less then ideal. 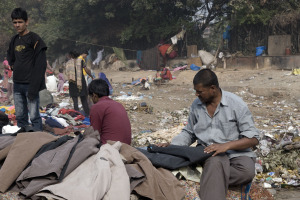 They struggle hard to maintain themselves in unsanitary and insecure working environments. 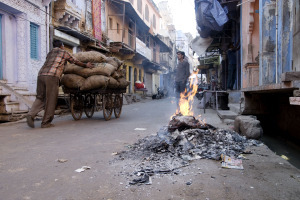 This worker in his stained shirt pushes a cart through the streets of Bundi. 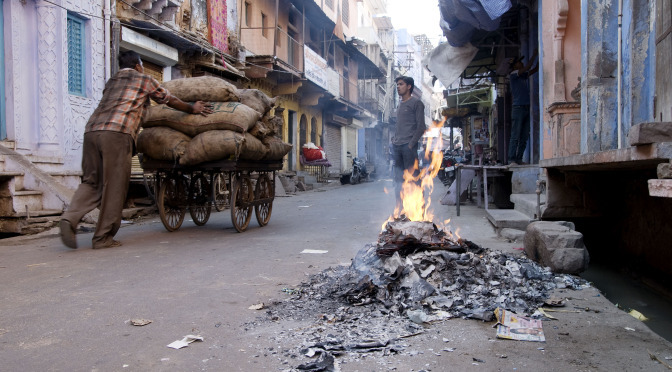 On the street side, trash is being “recycled” or rather burned. The ashes will later be pushed into sewer on the street side. 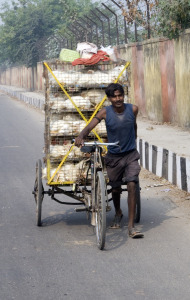 This young man pushes a bike with chicken cages through the streets of New Delhi. 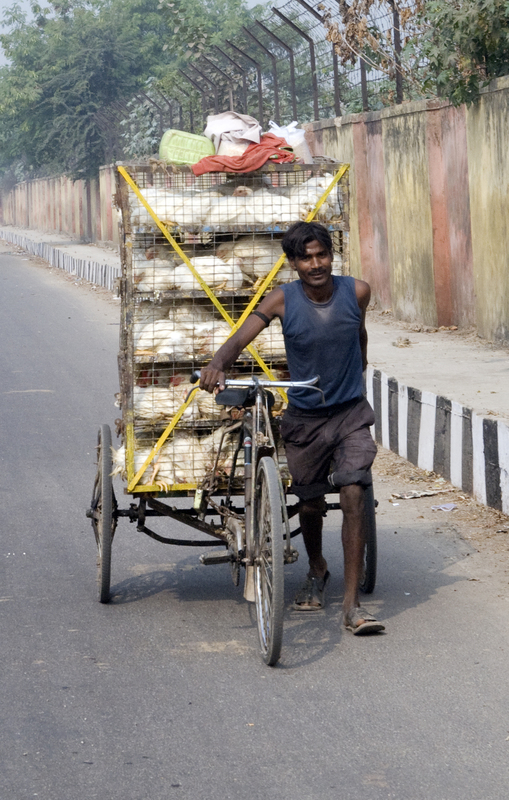 There are around 100 chicken on this cart. 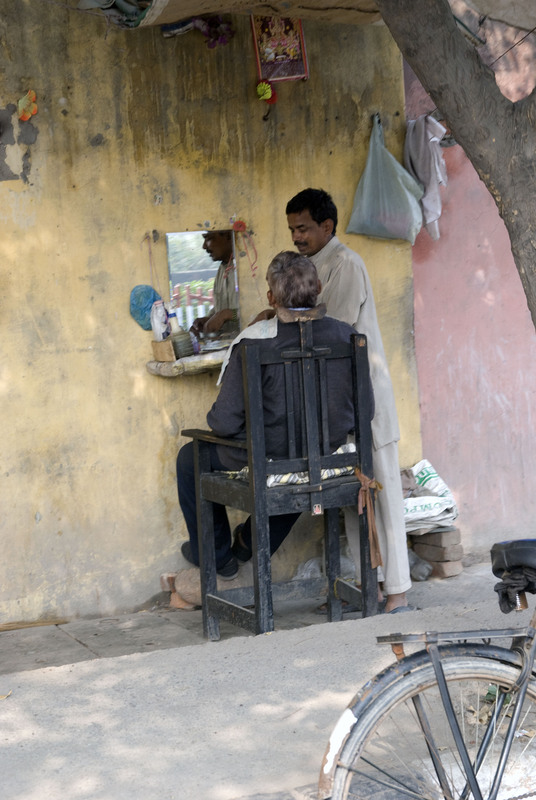 In order to save rent, this barber simply put up a chair and mirror along the road side of New Delhi. 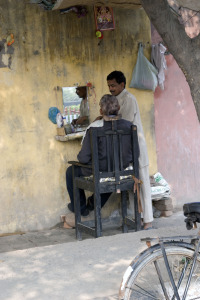 With no running water or walls, the sanitary conditions while shaving customers leave lots of room for improvement. 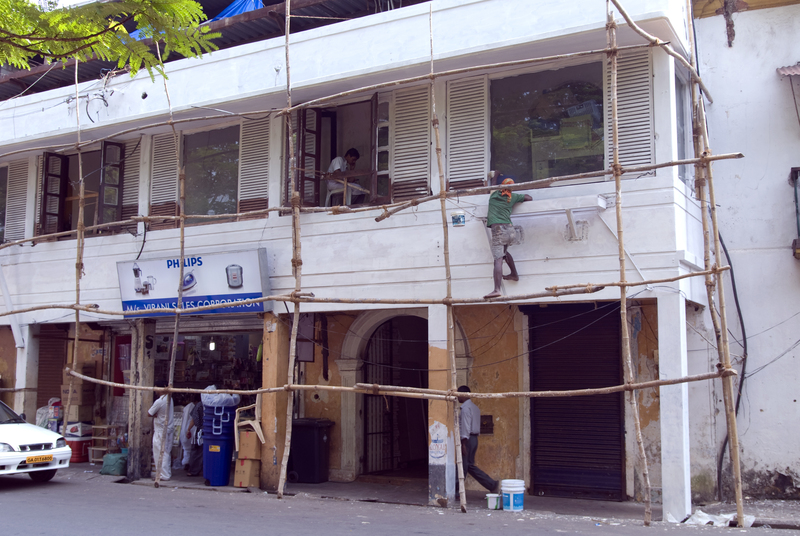 This construction worker in Goa, a comparatively rich state in India, is balancing on a bamboo rod scaffold. The framework is tied together with rope, but not secured at the bottom. At Jama Masjid Market in New Delhi, home and store, dirt and product, vendor and customer become nearly indistinguishable in the grey dust. 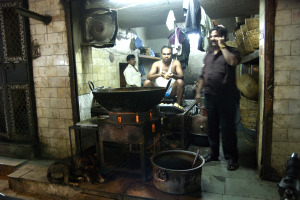 In this little kitchen in Delhi, men are preparing tomorrow’s snack food: Samosas. Huge piles of the little dough-pockets filled with potatoes will be fried in the large pan. 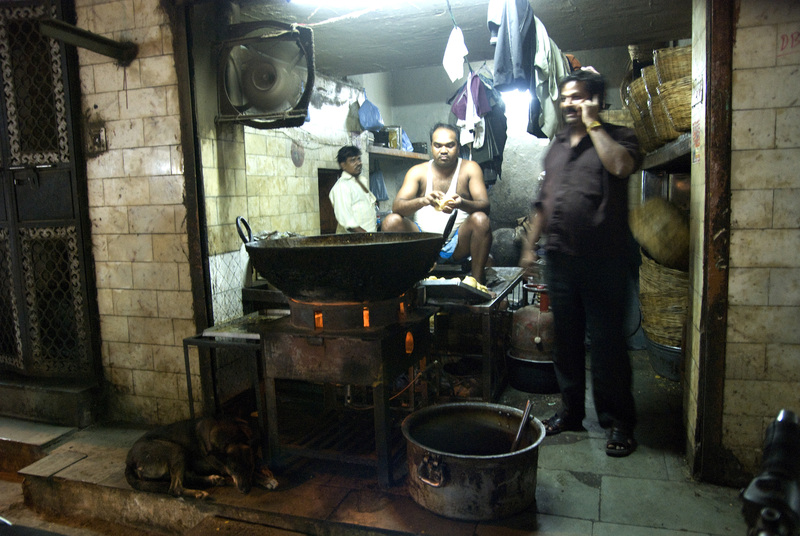 A samosa costs about 10 Rupees, the poverty line is at 28 Rupees per day. 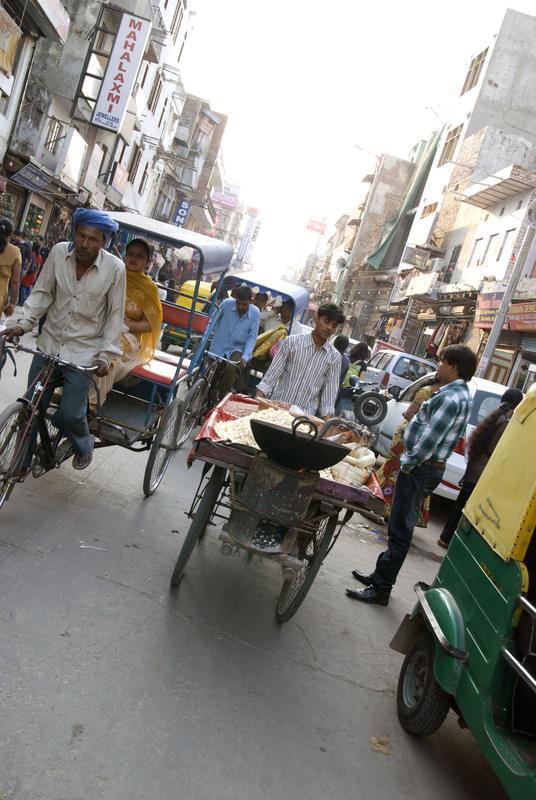 In the hectic and bustling city of Delhi, not only the riskshaw drivers and cycle rickshaws are constantly on the move. 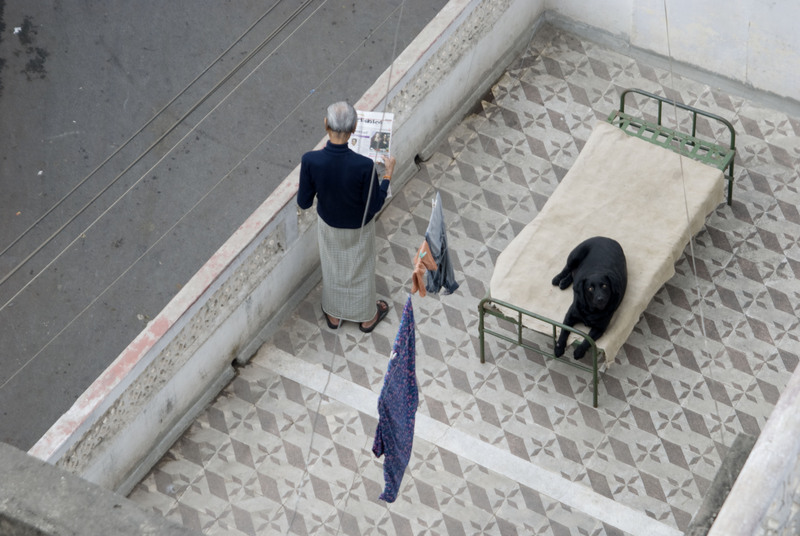 This mobile snack cart follows them through the streets. It almost appears the vendor has found a market niche. 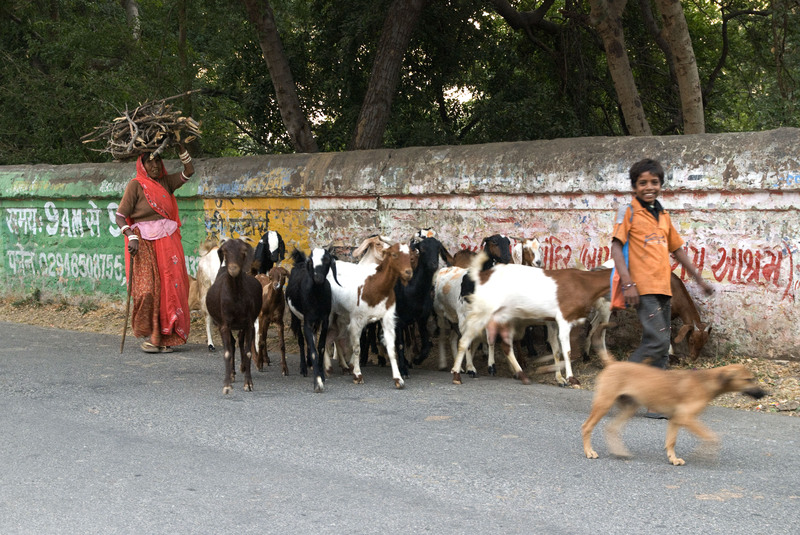 This woman in rural Udaipur drives goats through the streets. 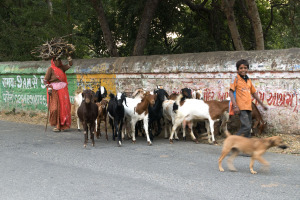 The city is fairly rich as it is a popular tourist destination.